Natural stones have been a popular home furnishing for centuries, but there is a lot of conflicting information on the internet about stone polishing, restoration, and maintenance. We clarified several myths about natural stones and stone restoration in a previous post, and in today’s post, we’ll continue to debunk some of the most common myths we’ve heard over the years. Concrete & Marble Transformerz is proud to be the Top-Rated Local® stone restoration company in Los Angeles, and we’d love to help you restore and protect the natural stone surfaces in your home. We offer granite and marble restoration, granite cleaning, marble polishing, and many other natural stone restoration services. We proudly provide our customers with free estimates, so get in touch with us today to request a free estimate, and continue reading to learn the truth about natural stone surfaces! Even More Natural Stone Myths Busted! If you’ve ever heard that marble and granite countertops stain easily, then you may be wondering if these natural stones are right for your home. Perhaps you regularly host large numbers of people for dinner parties, or maybe you’re raising small children who make messes on the counters from time to time. While staining is always a concern when it comes to natural stone countertops, hiring a stone sealer to periodically inspect and seal your countertops will provide your countertops with superior protection. While this claim isn’t exactly false, it’s not completely true, either. 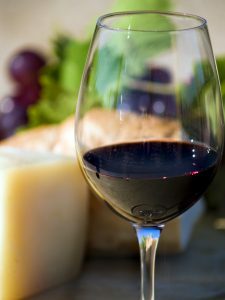 If you spill a glass of red wine on unsealed granite countertops, then you’ll probably have to hire a granite cleaner to lift the stains. However, your countertops are unlikely to be damaged as long as you clean your granite and marble countertops as quickly as possible after something has been spilled. If your granite or marble countertops have become stained after a spill, then you’re probably worrying that your investment is ruined. 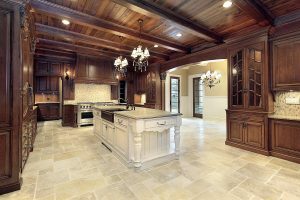 While the extent of the damage and the substance that has stained your countertops will determine whether your countertops can be successfully restored, our restoration company has techniques and products for removing virtually any stain. Some substances are more difficult than others to treat, but a combination of stone polishing and stone restoration techniques will successfully treat the majority of stains. Natural stone surfaces have been in vogue for thousands of years, and it’s easy to understand why. The main reason that marble, granite, and other natural stones have furnished palaces and public squares for centuries is that they’re incredibly elegant. While different cuts and colors will certainly become more popular than others, it’s highly unlikely that anything will replace the sophisticated look of polished marble and granite. You may have also heard that natural stone countertops are going out of style due to the cost of installing and maintaining them, but this couldn’t be further from the truth. In fact, the cost of furnishing a home with concrete or marble countertops has been steadily dropping thanks to advances in mining technologies and shipping methods. Although we don’t perform installations ourselves, we’ll help you seal, polish, and maintain the natural stone surfaces in your home after you purchase them. 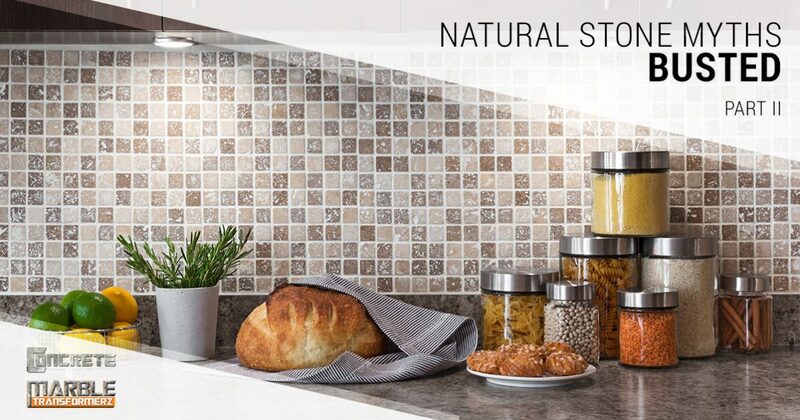 From the ancient Greeks to contemporary kitchens, bathrooms, and offices, natural stone surfaces are here to stay! This is one of the more common myths we’ve heard over the past several years, and it seems to be something of an urban legend. Granite is one of the most common countertop installation options in the United States, and slabs that are intended for use in the kitchen are tested in order to ensure their safety. Granite is one of the least porous natural stones you can furnish your kitchen with, and this means that raw meat and other organic substances are unlikely to permeate the surface of your counters. If you’ve contacted a stone restoration company for granite sealing, then you can prepare food on your countertops without worrying about bacteria or mold coming into contact with your food (although we still recommend that you use cutting boards whenever you’re cooking). We hope that this post has clarified any misconceptions you may have had about natural stone surfaces. Keep an eye out for future posts in which we’ll continue to bust myths about marble, concrete, granite, and other natural stones. If you need stone restoration in Los Angeles or any of the surrounding areas, then get in touch with Concrete & Marble Transformerz! We’re Los Angeles’ Top-Rated Local® stone restoration company, and our stone restoration services have helped hundreds of Los Angeles residents transform their concrete, marble, and other stone surfaces into beautiful works of art. Don’t take our word for it, though! Read what our customers are saying about our services, and don’t wait to get in touch with us for a free estimate! We look forward to working with you soon. Did you know that marble, limestone, travertine, onyx and other calcite based stones are very sensitive to acids? Be sure to avoid acid based cleaning products and spills of acidic liquids. If you do have a spill, try to wipe it up as soon as possible. Concrete & Marble Transformerz provides concrete, epoxy, marble and natural stone services for the residential, commercial and industrial industries. We currently serve Long Beach, Redondo Beach and the greater Los Angeles County and Orange County metropolitan areas. Call us today for your FREE, no-obligation in-home/business estimate!